Modern companies have been heavily stung when romances between co-workers have gone wrong, and many of them have strict policy about colleagues dating each other. While they are not always able to prevent it, some of them have been known to transfer employees to different offices when they find out, and others will ask the couple which one of them will be resigning. They do not do this to be mean or overbearing, but they are trying to protect their assets from people seeking damages in the court system. It might seem ridiculous to two people who suddenly find they are attracted to each other at work, but it makes sense from an economic standpoint. Few co-workers want to break the rules and take a chance of losing their job, but there are times when they become embroiled with each other without planning it. two people might be working late together on a project when they decide to have dinner together at a local restaurant, and that is when they realize how much they have in common. Knowing it is against the rules, their unexpected date can lead them down a path to romance. While it is not intentional, it is still against rules they agreed to when they were employed. Discretion is their only option, and they might be able to carry it off if they are extremely careful. There are people who fall in love with others who do not immediately return their feelings, but they are content to keep trying. For those who work together, it can become difficult. 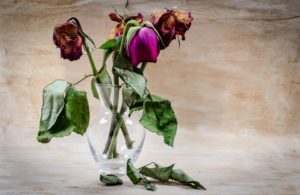 A person who is pursuing an associate for romance can upset the entire staff if they persist in their attempts, so this is one reason they should keep their feelings in check. When everyone knows a person wants to date someone, it can become a stopping block for even the person who has chosen to remain loyal to the company. Discretion might help in this case, but it will often lead to being unemployed for the person who lets their feelings be known to all. There are many times when two people begin dating each other in the belief they are compatible and can form a relationship, but the romance dies as soon as they get to know each other better. If the two of them do not work in the same company, there are generally not many consequences to face. Companies with strict policies of co-workers not dating have generally made this rule due to this scenario, and it is because they are often sued by those who are disappointed their romance did not lead to a lifetime of happiness whether or not they were discreet by keeping it out of the office. There are many good reasons companies forbid employees from dating each other, but the most important reason is that it can become disruptive in the workplace. Those who manage to have a personal relationship while working together often bring their personal baggage with them, and companies have found they can become embroiled in a lawsuit when it does not work out. Keeping a relationship a secret could be the only way a couple working together can have one, but it might still lead them down the road to unemployment.